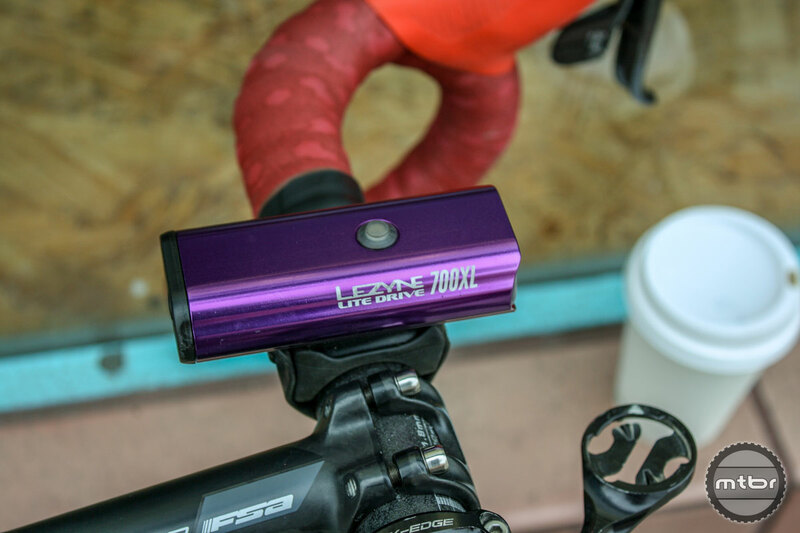 A mix of classic cool color and new world tech is found in the Lezyne Lite Drive 700XL. 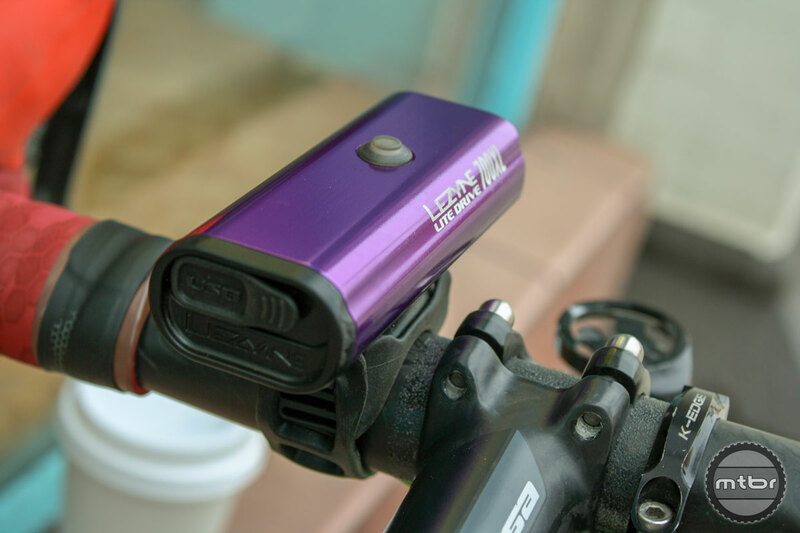 Lite Drive 700XL is Lezyne’s entry-level illuminator in their new performance line. Crafted from aluminum in classic Lezyne style, the Lite Drive 700XL packs delivers 700 lumens of light for trail or road rides. The Lezyne Drive line is performance driven, designed to give riders peace of mind knowing that drivers see them and they’ll see roads and trail alike. Lights are available in 1500, 1100, and 700 lumens, and all Drive lights use the same Lezyne mounting mechanism and the same range of modes. One strap to rule them all and very easy to take from bike to bike. I really appreciated the machined alloy construction, and it helps with heat dissipation, too. All lights in the Lezyne Drive performance series also use Enhanced MOR (maximum optical reflection) lens with built-in side visibility. This is essential for real-world use, where cars and pedestrians approach from multiple directions. Lezyne Lite Drive 700XL installed over cables and housing with no stress. Attaching Lezyne Drive lights are simple with dependable thick rubber strapping that’s thick enough to not slip down during mountain bike rides but thin enough to conform to cables and housing. I like this style strap and have found them to be forgiving when blasting over cobbled streets and occasional singletrack. A one size fits all band makes it easy to take from bike to bike as well as stow away when leaving your ride outside for a coffee stop. Operating the Drive 700XL is easy and intuitive. Push the single button to check battery life, hold to switch on and off, or press singularly to cycle through programmed modes. The Lezyne Drive series has a total of eight programmed output modes. Five are constant light, ranging from full blast 700 lumens to 15-lumen “Femto” mode. There is also a day flash mode where Drive will shoot two short flashes, repeated every second at 700 lumens. This is designed to be noticeable at any time. 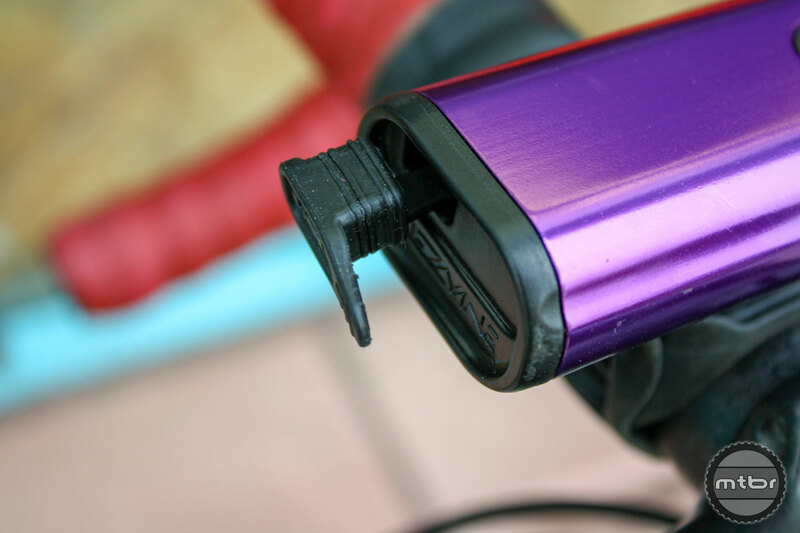 A waterproof charging port helps keep Lezyne Drive lights working though all conditions. I found myself using this flash mode the most on winter daylight road rides. For longer run times and using less power, there is another flash mode that operates closer to other lights on the market. This low power mode comes in handy when you’re running out of battery life. Lastly, an optional “Overdrive Race Mode” toggles between “Overdrive” and “Economy” modes only. This is perfect for racing in spring when the road is wet and fog is thick in wooded areas. Most of our testing was performed under below freezing conditions, and the Drive 700 saw its share of showers and sleet. This never affected battery life or operation. A super tight charging port fitting makes Lite Drive super waterproof and easy to charge with provided mini USB cable. Different modes and lumen outputs for Drive 700XL. 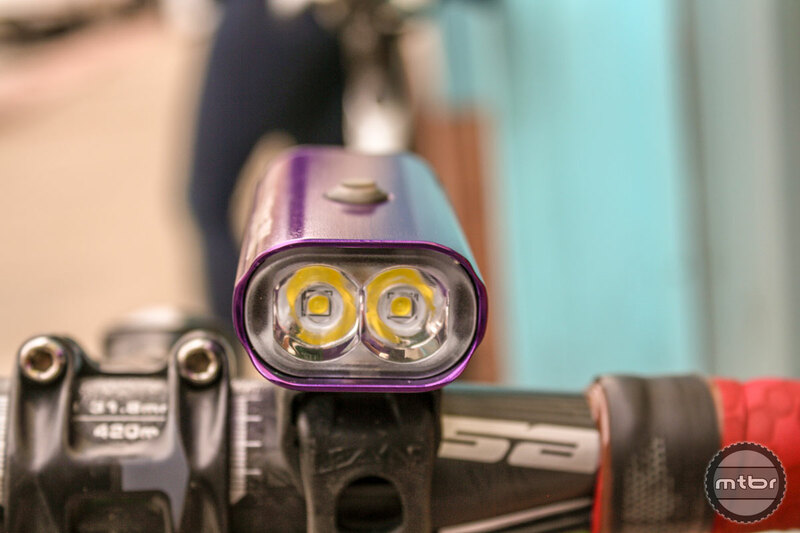 Bottom line, the Lezyne Lite Drive 700XL uses a mix of practical lumen output, user-friendliness and stow’ability that I found fantastic in an all-around bicycle light. The 700 lumens output is an adequate amount of light to confidently go out into the woods or hit some logging roads. A mix of old world mountain style and new world tech make this light design unique and eye-catching. 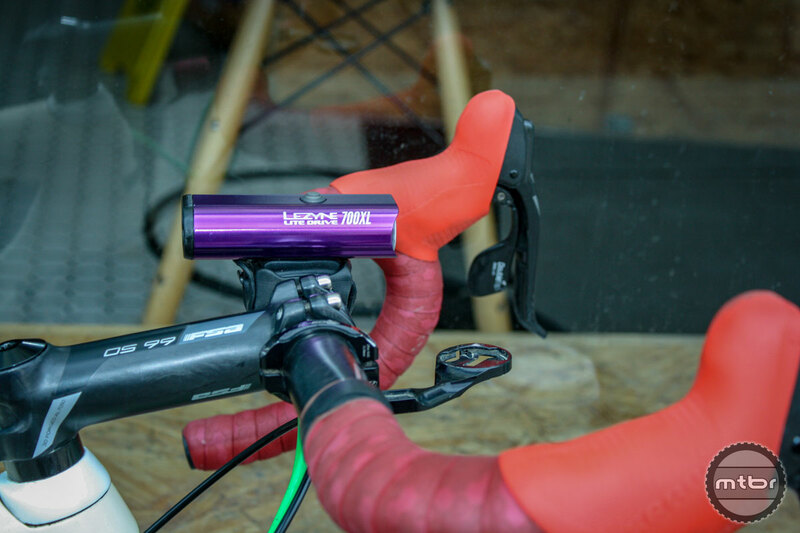 A mix of classic cool color and new world tech; Lezyne Lite Drive 700XL. A waterproof charging port helps keep Lezyne Drive series working though all conditions. Closed up and ready for action; Lezyne Lite Drive is built for the elements. Different modes and lumen output for Drive 700XL.